A common misperception is that Southern California doesn’t get enough rain to warrant planting a rain garden. The fact that our local rainfall doesn’t meet our needs for water actually makes rain gardens even more important to our area as a way to conserve and utilize water that falls onsite. A rain garden makes use of rain water that falls into the yard naturally or off of the roof, usually via rain gutter downspouts. The water is then guided into the planted space through methods that include strategic grading of the dirt, pipes, trenches or extra-long downspouts as pictured above. 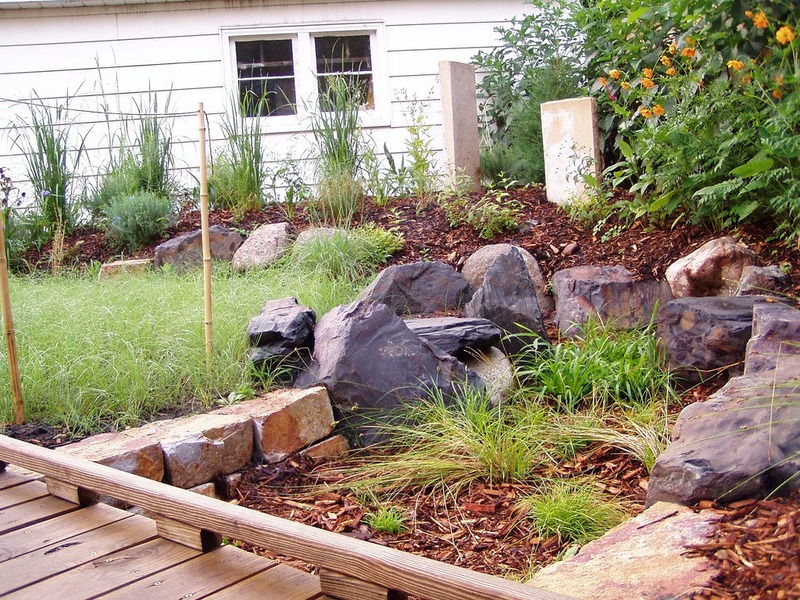 A rain garden is not a pond-like feature meant to retain water. It’s actually meant to hold water for just a short period of time. 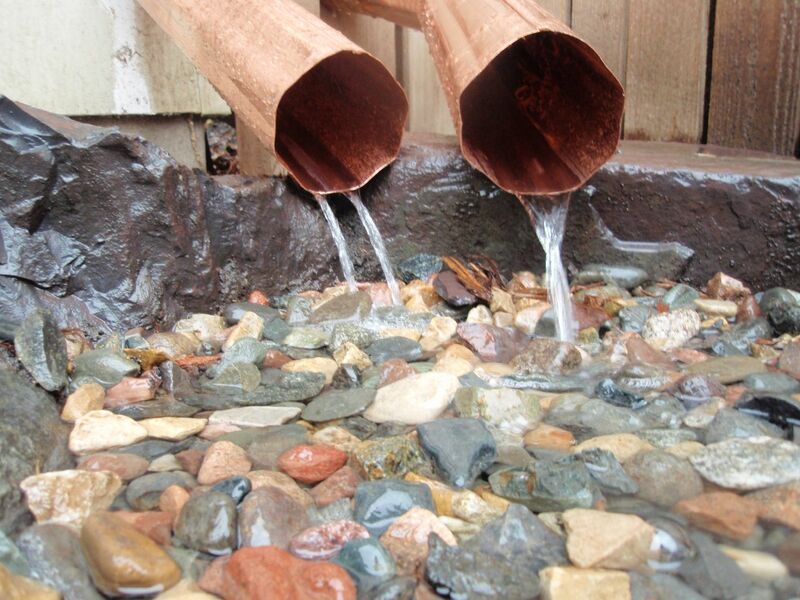 Though cultures have been collecting rain water for ages, the residential rain water garden concept is young, dating back to 1990 in Maryland. The concept has spread among areas in the East and Midwest. Creation of smaller rain gardens have been embraced by schools and communities as a way to teach kids environmental sensitivities along with a little biology and other science, too. As we have covered previously, one of the concerns about rain water is that it collects pollutants along the way to its final destinations. This can be from your roof, puddles of car oil, construction debris and so much more. Soil has microorganisms that break down and remove certain pollutants such as heavy metals, nitrogen, phosphorus and hydrocarbons. The pollutants carried into the ocean from San Diego storm drains are harming sea life and making the ocean unsafe to swim in, especially after it rains. Less water pouring down over soil means less risk of erosion, which often happens in San Diego. Sure, we don’t get a lot but repurposing water into the yard decreases the need for irrigation water which means less is pulled from the municipality. Not every house has rain gutters or sophisticated drainage in place which means that rain can cause serious flooding. 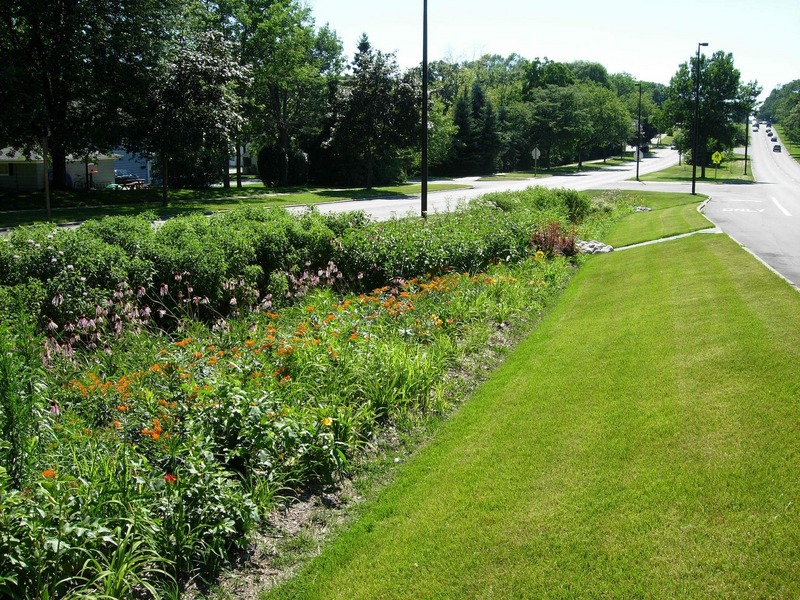 If water can be guided into a rain garden, the risk of flooding decreases. It’s completely necessary to study how water drains around your house after a rain storm. Do you have a downward point at which the rain can collect? If not, can you create one? Many homeowners grade soil in order to direct water to where it needs to go. If the area is already perpetually saturated, this surprisingly isn’t a good place for a rain garden. Soil with pooling water invites pests such as mosquitoes so breed. Their larvae need roughly seven days to develop but if the pooling water drains in time–a goal of the rain garden–they won’t be able to survive. Take note of existing trees and shrubs to make sure they won’t be negatively impacted by added rain water. Assess the amount of sunlight the area receives. Full to partial sunlight will allow for a wider variety of plants to be considered. It is also important that the rain garden not be located over a septic system, in an area with large tree roots, and remain at least ten feet from structures with a basement (check your local codes for more details). The answer is it depends on how much effort you’d like to put into it along with how much rain you can expect to catch. Experts suggest using a mathematical formula of 20% of the collection surface. For example, if your roof measures 1000 square feet and you can divert all of that rain into a garden, its size should be 200 feet. If that sounds technical, go ahead and go with a size you’re comfortable with. We won’t tell. If the area under consideration is mostly comprised of clay soil, remember that it doesn’t absorb water very well. Consider increasing the size of the garden. Rain chains or downspouts with extensions (seen in the top post photo) direct water into a rain garden. Downspout extension. Runoff from the roof that hits the soil directly should probably fall into a bed of rocks to decrease the risk of erosion. Trenches should have at least a 2% grade (of 1/4 inch per foot) to ensure a continuous flow of water into the garden without puddling along the way. You may need to create a berm (man-made mound of earth) in order to retain the water in the garden. What Kind of Plants Should I Choose? It is recommended that rain gardens be planted outside of the rainy season when roots are able to penetrate the less-compact soil. A rain garden still needs mulch but make sure it is dense enough so that it won’t float away with the rainfall. In case of a major rainstorm, make sure that there is an ability to drain out the overflow into a drain system or other safe area. 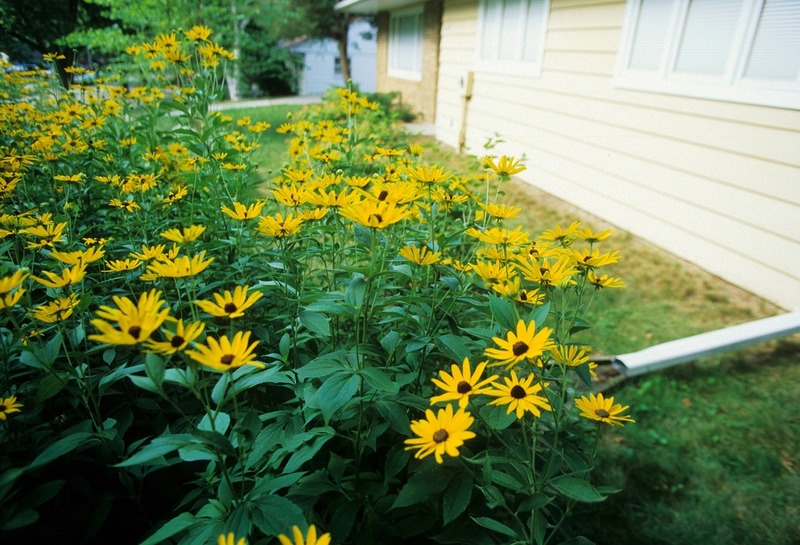 Have you planted a rain garden?